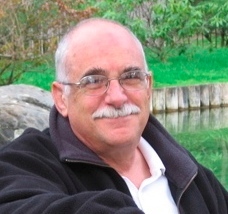 Rabbi Kenneth Barry Block began serving Temple Beth Torah in September of 1998. Born in Boston, Massachusetts, ordained at the Hebrew Union College-Jewish Institute of Religion, and a member of the Central Conference of American Rabbis, Rabbi Block previously served the Harford Jewish Center in Havre de Grace, MD. 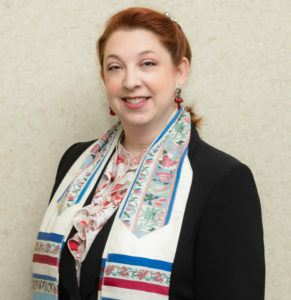 In addition to serving Temple Beth Torah, Rabbi Block is an addiction Chaplain for the VAMHCS, an Adjunct Assistant Professor at the University of Maryland School of Medicine, and Chaplain for Bel Air Volunteer Fire Company. Rabbi Block is also a facilitator of an American Cancer Society support group. Rabbi Block was honored with the Boston College Alumni Association Award of Excellence for Religion in 1978. Lauren Laird is excited to return as Temple Beth Torah’s Cantorial Soloist. Originally from California, Lauren came to the DC area for college and never looked back. Serving in Jewish educator roles at all levels, leading High Holiday and Shabbat services, tutoring B’nai Mitzvah students, singing at life cycle events, and performing in local community theaters, she brings over 20 years of experience to TBT. Lauren is a member of the Guild of Temple Musicians and continues to broaden her Judaic and music studies.